Feliz Navidad or Merry Christmas!!! 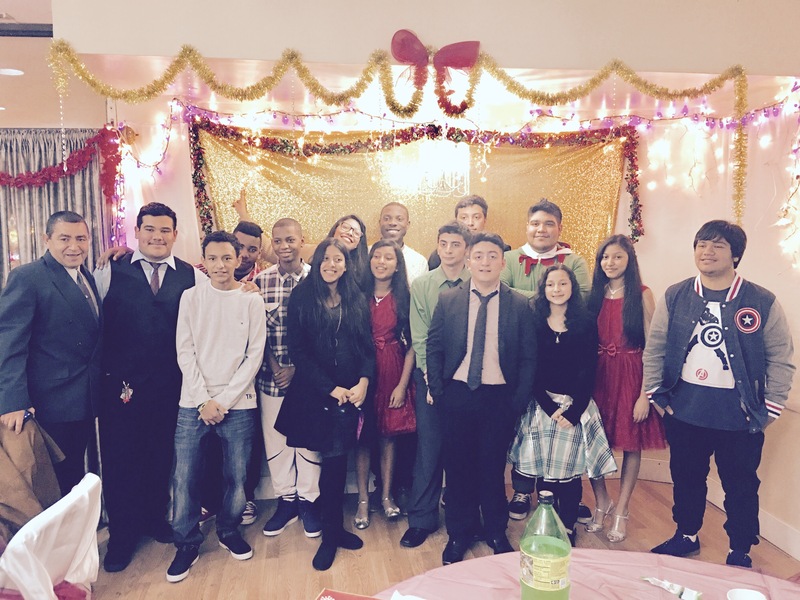 Merry Christmas from the youth of House of Prayer! Hello everyone I hope you are having a wonderful christmas. I hope you are all enjoy time with all your family and friends. This christmas has been a amazing one, I had the time to spend it with my love ones and my brothers and sisters from church. I know some of you; don’t have your family members with you for different reasons; however always remember that God is always with you. This day don’t forget to give thanks to the Lord for his mercy and grace and the privilege he gave to us the gentiles to have salvation through the sacrifice his son gave. I have many things to be grateful about first and foremost the ﻿salvation he gave and his never ending love. His constant search for us is the most wonderful and romantic gesture anyone can have. It’s a love that is not selfish; it’s actually a love that redeems our lives forever. How can you give thanks to this amazing God for everything that he does. Give thanks in your actions and worship and praise; we need to learn to praise him with everything that we got. Some of you, may have lost a loved one this year; However I hope that God brings you peace to your life in this day. It’s not easy to lose a loved one but remember that the Almoighty is with you always; as he was with the Israelites when they were at the dessert looking for the promised land. Always remember that a Christ or Messiah was born two thousand and 16 years ago and that he was the most precious gift that could be given to us. Because he brought peace and comfort and word to our lives. I hope you have a Merry Christmas and that God guides your life as it’s his will. P.s. comment at the bottom what are you most grateful for this year or all? Author Ana GuerreroPosted on December 25, 2016 December 25, 2016 Tags faith, Jesus, thanksLeave a comment on Feliz Navidad or Merry Christmas!! !